Happiness from small things is a small thing today. Today’s generation never become fully satisfied or happy, how much ever pampered they are. With technology developing at high speed, we never notice the rustling leaves, colourful butterflies, chirping sparrows or the beauty of nature. We don’t care for our Mother Earth who has so selflessly given us food, shelter and care. But can you say today’s technology is a good for nothing thing? Not at all. Technology, of course, has a major role in our lives, in fact, it has a major part in our lives. Can somebody live without electricity for at least a day now? Never. But our forefathers could. Our Forefathers ground their food on the traditional grinding stone, did not have a refrigerator and no communication facilities, except letters, in the recent past! Well, some did have telephones, but they remembered the others phone numbers way better than we do now. Do we at least know our own mobile number !! 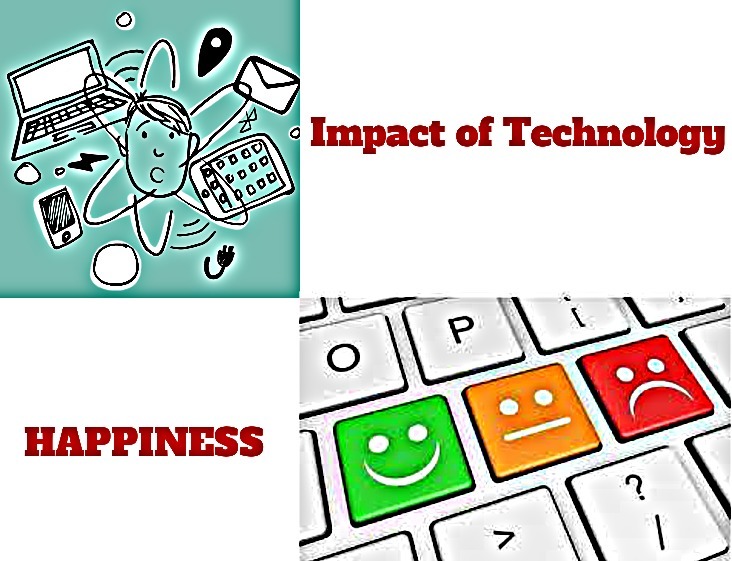 Technology has helped us, made our life easier, but it takes out our happiness at times. It makes us lazy. We are too addicted to technology that we become lazy and distracted. At the touch of a button, the whole world is at out fingertips, isn’t it? Sharing things and loving and feeling nature only will make us happy. Our forefathers did that. They were more happy than any of us. Really. Do try it – Love Nature and it will make you Happy.